Picked up a box of 15/16 Artifacts at the Vancouver Sports Collectors Show today. I let my son pick out of the 2 boxes the one dealer (IMO, the more reputable dealer out of the 2 who normally come to the shows) had in the open case. He chose wisely, that boy. Rookie Relic Redemptions III - Silver Dual Jersey. My Photobucket. Take a look plenty of trade bait! Broke a 3rd & final box of Artifacts and pulled a few goodies. Pic first, then the details! So, aside from the sweet trios and the McDavid redemption (finally! 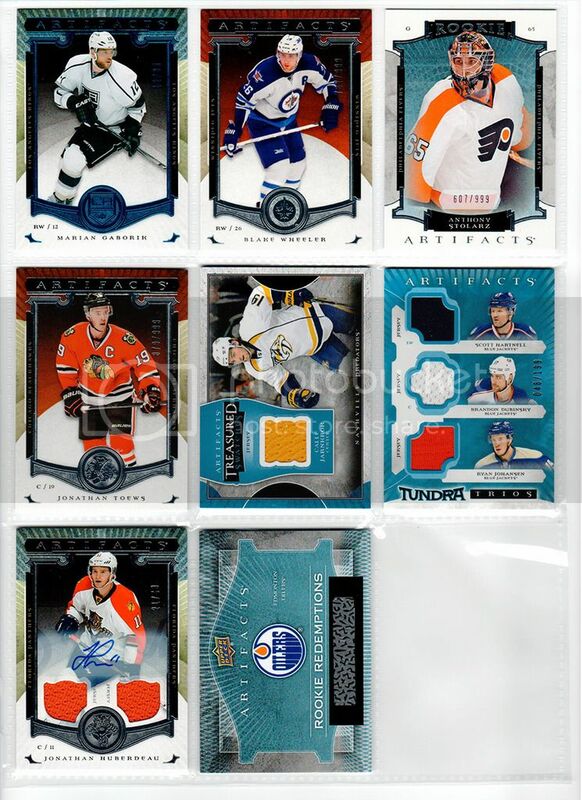 ), I was really excited to pull the Huberdeau! 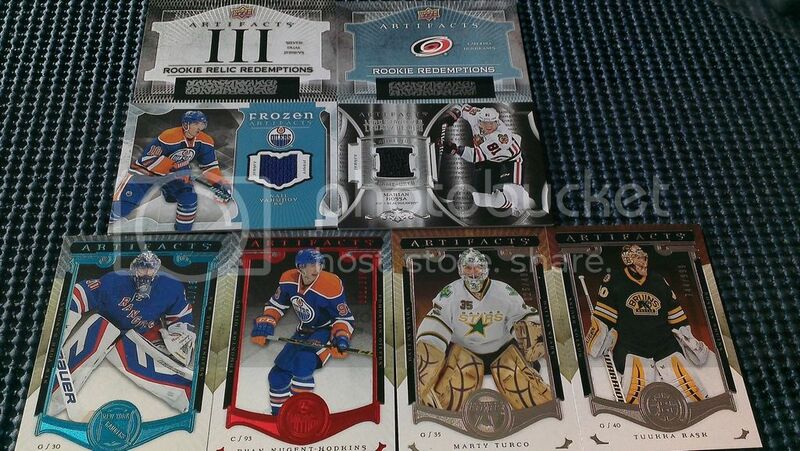 Also, the Gaborik is an eBay 1/1. The serial number is 12/85, his jersey #.